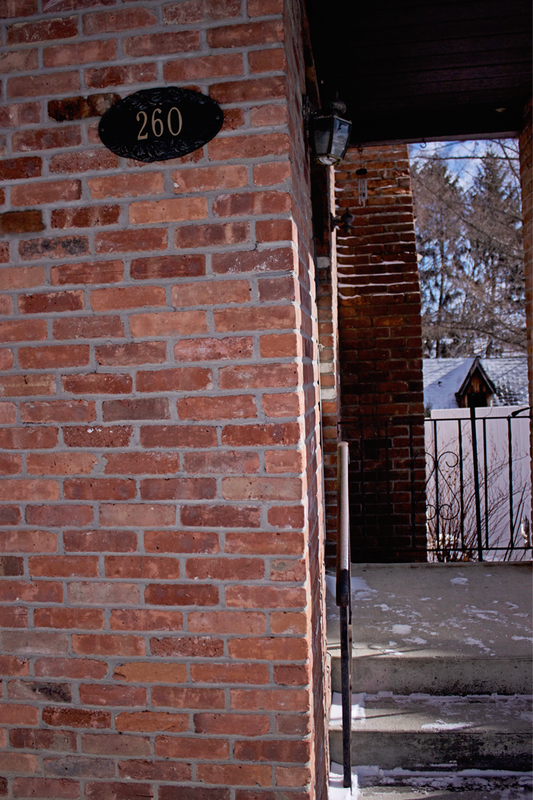 Incase you missed it, we closed on our second home in February. We were approved for a rehab mortgage which is currently my favorite thing ever. Basically, with a rehab loan, you get your fixer upper house for, hopefully, a low cost, and then all the renovations are added into that cost, totaling your monthly mortgage payment. It feels really strange to be able to make our house our own, all while keeping the mortgage payment we planned on. We live in upstate New York and can hardly find a house we can afford, let alone one that has enough space for our family. But God bless the rehab loan. We moved out of our teeny, tiny first house in November and didn't close til February. It was a more lengthy process than we would have liked to get to our closing, and we will have lived with my parents for eight months once we move out in the end of July. It's definitely a process, my friends. And we're not done yet, but it's already worth it. I am currently preoccupied with the main level bathroom. Homegirl is going from having one toilet with eight people to three toilets with six people. Can I get a what what. 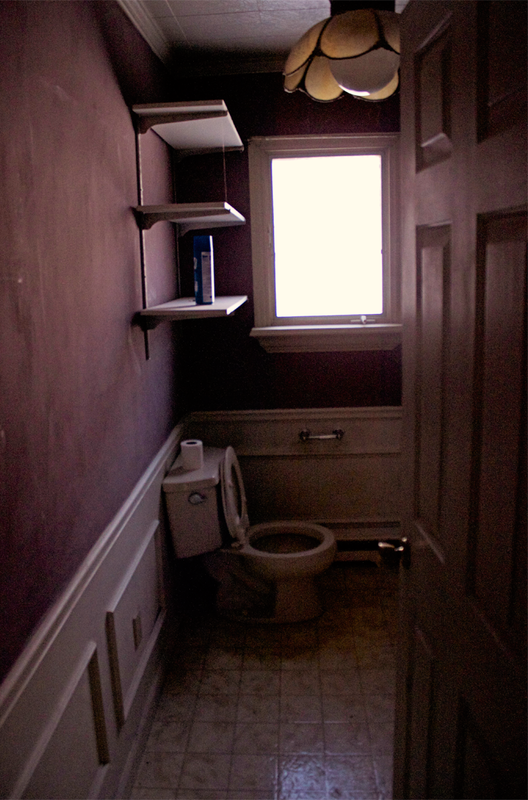 Here is the bathroom before. I feel like I don't even need to show you any more of it. I feel like you don't even want to see any more of it, and I don't blame you. 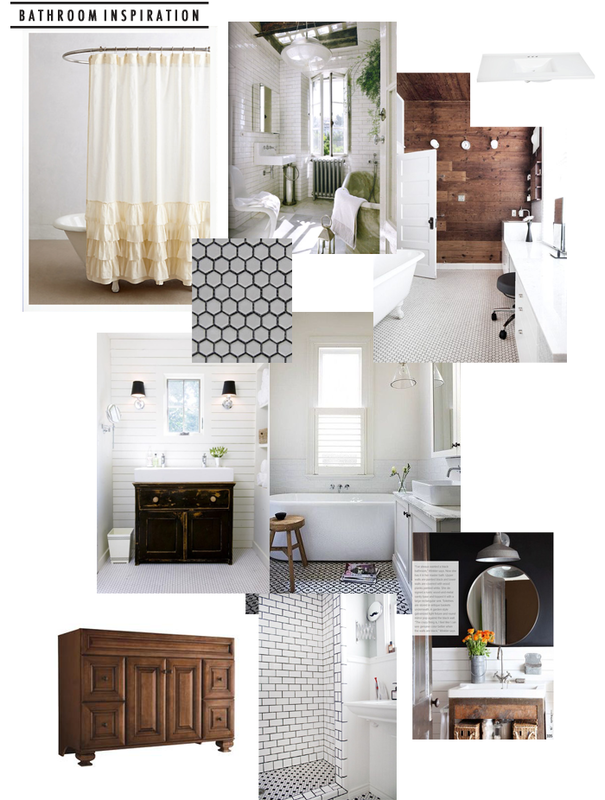 My inspiration for the bathroom is whites, woods, and touches of bronzy black. Also as much tile as I can force my husband to lay. I have this shower curtain already that I love, and also am drooling over this one and this one. This is our only bathroom with a bathtub, so it's not really a master bath or anything fancy like that. Our house is a tri level and this is on the main floor, next to our bedroom. The wainscoting all stayed, obvs. The walls are white. Actually, our entire house is white. We found the perfect white for us right here (delicate white, by PPG). The floor will be this tile with the darkest greige grout we can get our hands on. The shower will be subway tile. I'm 99.9% sure we are going with this vanity, and this vanity top. Lowes is our third home, if you will. images via my home pinterest board. When I showed Caleb this picture and told him it was a dream, he told me he doesn't even know who I am anymore. He loves that picture as much as he loves my sporadic three word texts and how full the garbage can always is. Bless his heart. Love. This. I'm gonna have to ask my hubby about the rehab loan because that's pretty freakin' awesome. In Asheville, the house prices are ridiculous. And we have a lot of kids too...its a predicament. Thanks for the idea. Cannot wait to see the afters. i love the bathroom inspiration pictures! my husband and i have been fixing up our house, and it's quiiite a process. every date night includes a trip to home depot/lowe's :) good luck to you as you continue working on your lovely house! Love this. Ha! My husband looks at me like I'm crazy with each off the wall idea I have, but with each little project, he is coming around, or at least learning to roll his eyes and accept my funk. Can't wait to see your afters.